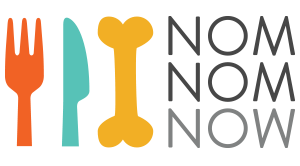 All of our fresh pet food recipes here at NomNomNow are gluten-free! Most of our recipes are grain-free (our Heartland Beef Mash, Chicken Chow Wow, Porkalicious Potluck, Chicken Chow Meow and Fancy Fish Feast all are!). In our Tasty Turkey Fare, you'll find nutritious brown rice which has been carefully selected by our Veterinary Nutritionist for its unique nutrient profile.